I have upgraded my vSphere lab cluster from ESXi 5.1 to 5.5. Even though my lab consists only of 2 hosts I wanted to use Update Manager orchestrated upgrade to simulate how it would be done in big enterprise or service provider environment with as little manual steps as possible. 1. It is not recommended to put a host into maintenance mode without first disabling it in vCloud Director. The reason is that vCloud Director catalog media management can get confused by inaccessibility of a host due maintenance mode. However when using Update Manager it is not possible to orchestrate disabling a host before maintenance mode. Therefore I would recommend to do the whole upgrade operation during maintenance window when vCloud Director portal is not accessible to end-users. 2. I have a few custom vibs installed on the hosts. Cisco 1000V VEM vib, vcloud agent vib, VXLAN vib. Other common are NetApp NFS plugin or EMC PowerPath. This means a custom ESXi 5.5 image must be created first. This can be done quite easily in PowerCLI 5.5 Note VXLAN vib does not need to be included as it is installed automatically when host exits maintenance mode (similar to FDM HA vib). 8. Now we can upload the iso to Update Manager, create upgrade baseline and attach it to the cluster. The Incompatible compliance status is because of the way the FDM (HA) agent is installed on ESXi 5.x hosts. Starting with vSphere 5.0, the FDM agent is installed on ESXi hosts as a VIB. 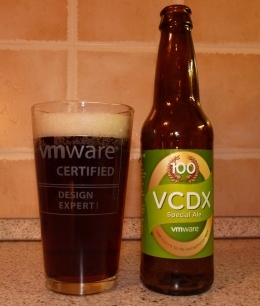 When a VIB is installed or updated on an ESXi host, a flag is set to signify that the bootbank on the host has been updated. Update Manager checks for this flag while performing an upgrade scan or remediation and requires this flag to be cleared before upgrading a host. The flag can be cleared by rebooting the host. I rebooted the hosts and Scanned for Updates again this time without any issue. I was ready for upgrade. 10. The upgrade of my two hosts took about 50 minutes. It was nicely orchestrated by Update Manager and finished without any issues. 11. I still needed to upgrade the vcloud host agents from vCloud Director, but that could be automated with vCloud API (host is put into maintenance mode during this operation). I came upon your blog looking for compatibility of Intel Pro/1000 PT adapters (you mentioned using that in a much older post so google brought me here). Have you gotten that adapter to work properly with ESXi 5.5? I have successfully upgraded to 5.5 with Intel 82541PI and 82571EB NICs. What did you do to get the 82571EB nics to work? These have been deprecated in 5.5. Any 5.5 VIBs available?